This award-winning memoir of a shattered childhood recalls a haunting time which chills the soul. At almost every turn, we listen to the heart-pounding struggle of a little girl, and her struggle between her belief in Chairman Mao and the Communist Party, and her beloved family. Writing with powerful simplicity and unblinking understatement, Ji-li makes the Cultural Revolution meaningful to children as well as adults. Red Scarf Girl stands beside The Diary of Anne Frank and Zlata's Diary, and forever changes the way we see the world and ourselves. "Ji-li's deeply moving story should be on the shelf of every person's library. Her courage in the face of adversity and her steadfast loyalty and love for her family are truly inspirational for young and old alike." "I can only hope I would have shown the same decency and courage exhibited by Ji-li Jiang. Her actions remind me that, even under unbearable circumstances, one can still cling to love and justice. Above all, one can still hope for a happier tomorrow. " In 1966, Ji-li Jiang was twelve years old. An outstanding student and leader in her school, she had everything: brains, ability, the admiration of her peers - and a shining future in Chairman Mao's New China. 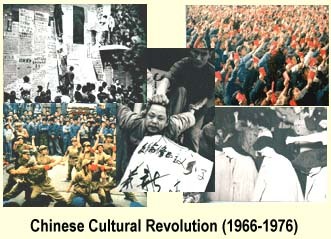 But all that changed with the advent of the Cultural Revolution, when intelligence became a crime and a wealthy family background invited persecution or worse. For the next few years Ji-li and her family were humiliated and reviled by their former friends, neighbors, and colleagues and lived in constant terror of arrest. At last, with the detention of her father, Ji-li was faced with the most dreadful decision of her life: denounce him and break with her family, or refuse to testify and sacrifice her future in her beloved Communist Party. Told with simplicity, innocence, and grace, this unforgettable memoir gives a child's-eye view of a terrifying time in twentieth-century history - and of one family's indomitable courage under fire.